Leather bags are great, and so pretty, too. But if you're someone who doesn't buy into the ethics of the leather industry, and don't want to be a part of the demand that keeps the industry running, we have great vegan leather options for you. Go on, shop away, you won't compromising on style and your morals. This bag is one of our favourites, with a pocket on the front that adds to both the style and the convenience factor. Whether you're a college girl, or a working woman, this bag would look great with all casual and formal attires. 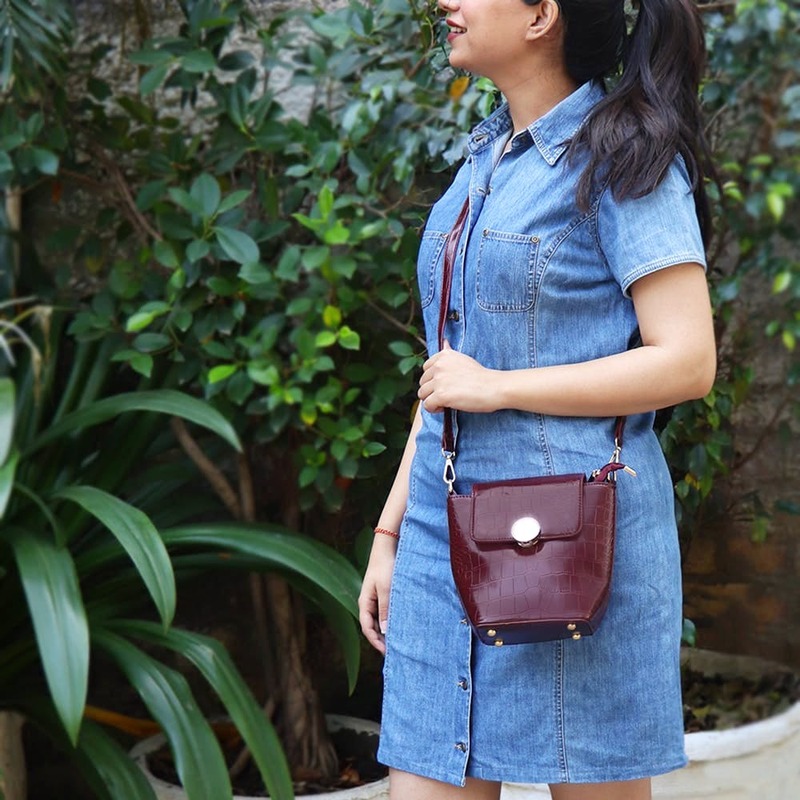 We love it when crossbody bags are compact, yet capacious enough to fit in all your essentials, and this bag is just that! We're in love withe the sleek envelope detailing on the sides, too. The crocodile skin effect on leather bags has to be one of the most classic, and sough-after texture ever. This chocolate brown shade is super-stylish, and one of those pieces that go with everything and always stay in fashion. We'd say it's a steal for just INR 789. This cross body bag is perfect for those who like to keep it simple, and effortlessly stylish. This bag looks tiny, but it's big enough to hold your essentials, and would go with everything from denim shirts to summer dresses. Some of us prefer backpacks over everything else, just because of their sheer convenience. This tiny backpack is cute and stylish, although not big enough to hold stuff like your books and files. However, it's a great option for outings when you don't need to lug around lot of stuff.